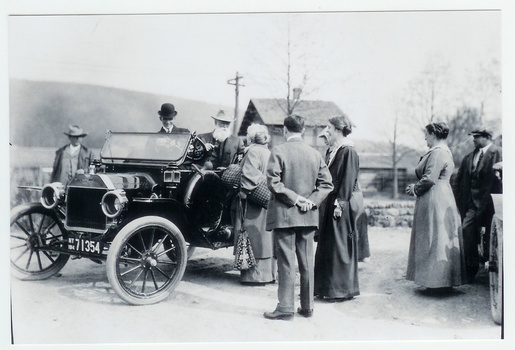 In Photographs > Show & Tell and Classic Cars > Ford Cars > Show & Tell. This is an old photograph of Henry Ford that some of you may enjoy taking a look at. I found the negative and developed it. The 4 x 6 picture one can see in this listing is not the original, but the negative is which is about 5L x 4W inches. Since this is a negative it is safe to say I believe that this is the only one produced of this picture. Correct me if I am wrong. This and the Einstein photo I listed on here were part of the same collection from an individual that had many of these sorts of original items. The side of the negative says Kodak Safety 102. 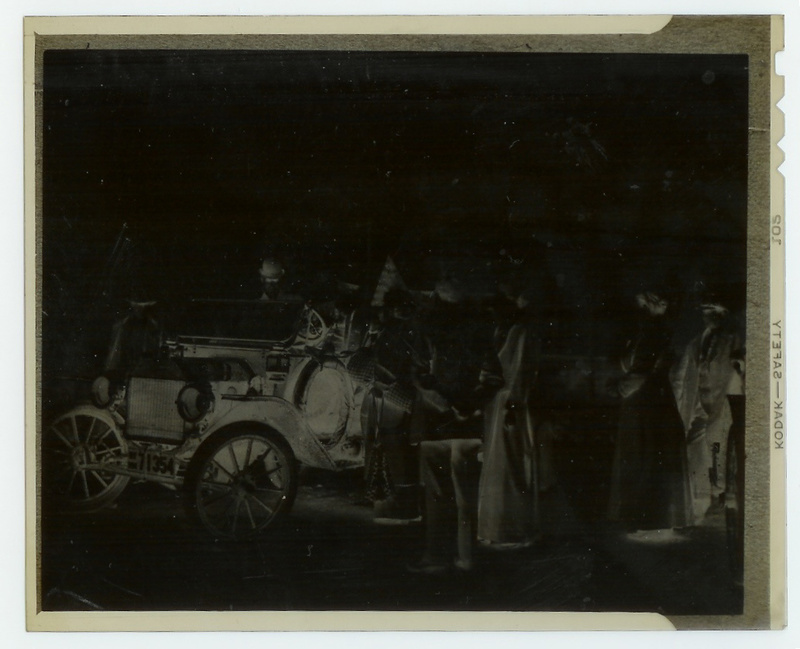 The license plate says 1914 NY 71354. So this helps possibly date the photograph. Henry Ford is sitting in the passenger seat. Does anyone know who the driver may be or anyone else in the picture? He kinda looks like Santa Claus. ; ) Also which car is this? I believe it is a Model T. This is the reason I am marking this as an unsolved mystery. Thank you in advance for any feedback any of you may provide. Reproduction of these images in any form is not approved or authorized. I appreciate you loving this item and the thorough response PhilDavid. I am very thankful. Great information. 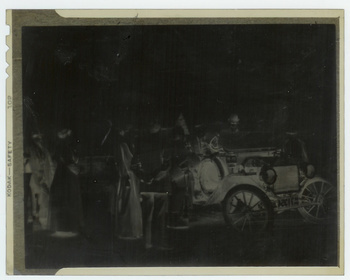 I cannot tell you about the car’s driver, but I can share details about the film negative. The term “Safety” appearing on the top edge means the base material is cellulose diacetate (or cellulose acetate) as opposed to earlier nitrate based film. “Safety” means that the film is not flammable. This is important in dating the negative because Kodak started marking their acetate films with the word “Safety” starting around 1930. Additionally, the negative and (and a positive I made of the negative using photo-editing software) shows what appears to be a re-photograph of an earlier card mounted picture; which is a common practice when there is a desire to preserve rare pictures. The guy in the the driver's seat kinda looks like Alexander Graham Bell. But it could very well be Santa! kerry thanks for the love and I appreciate you liking the post as well stones. A 1914 Ford Model T Touring Car, was Given to a Mr John Burroughs as a gift from Mr Ford. Sounds like you did some great research on the item JHERTL! Awesome job putting the dots together. I thank you and musikchoo for appreciating this item my friends.